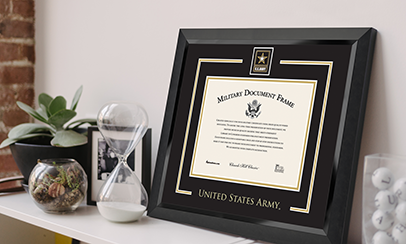 Our double diploma frame features two openings, perfect for displaying dual degrees, a Bachelor's with a Master's or Ph.D., or a diploma with a certificate. 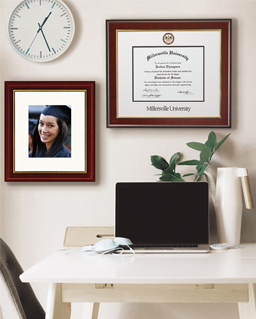 Search for your college or university to shop a selection of officially licensed diploma frames. Don't see a double diploma frame for your school? 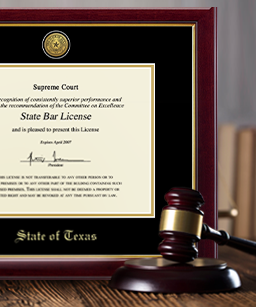 It's easy to create a custom double certificate frame in Create-A-Frame! The double diploma frame allows for a compact and professional presentation of your important credentials, and works best when the two documents are similar in size. 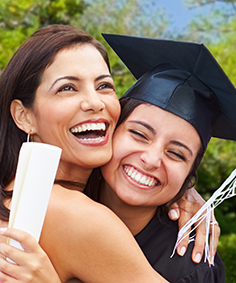 Whether you're purchasing an officially licensed double diploma frame featuring your school's marks, or creating a custom double certificate frame in Create-A-Frame, each of our double document frames are crafted with archival-quality mounting, matting, and backing materials.